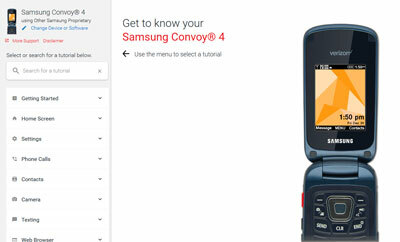 Find device-specific support and online tools for your Samsung Convoy 4. Learn how to activate and set up your Convoy 4. Here's how to restore your contacts on your Convoy 4 with Backup Assistant. Here's how to access Backup Assistant on your Convoy 4. An interactive how-to guide for deleting conversations on your Samsung Convoy 4. Discover how to send a text message using your Samsung Convoy 4.